Dimitri From Paris (soundcloud) is the French/Turkish disco don responsible for some of the biggest edits around. His recent compilation for Salsoul proves he is held in the highest regard by some of the originators of the genre. Together with DJ Rocca, their Erodiscotheque series has been running intermittently since 2011 on Gomma Records. Gomma is a German mainstay created by Munk & Telonius. 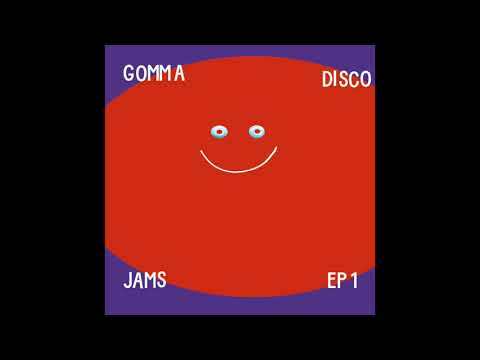 The premiere we proudly have today is from the compilation ‘Gomma Disco Jams Vol.1’ and the track is entitled Ero Disco Theme, an ode to their Erodiscotheque series mentioned earlier. A 4 track EP of varying styles, this track is the most disco orientated one of the bunch. It starts with a classic drum and bongo intro, building swiftly into zaps and a funky guitar lick. It doesn’t take long for the bassline party to start, closely followed by the swelling synth chords. This is a full on disco workout, high energy, minimal breaks, vocoded whisperings and drum rolls aplenty. It also features a belting synth solo, can’t help but picture this being played in the sweatiest of sweaty discos back in the day. If you want to play something that sounds familiar but new then this is for you!